In the Fall, Brenn and I try to take a day trip to the Cherokee National Forest. 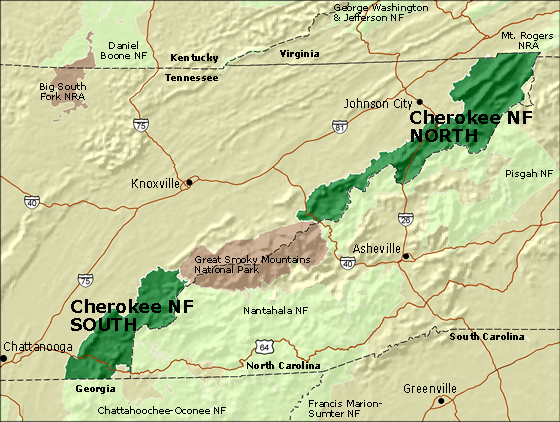 The Cherokee National Forest (CNF) is located in east Tennessee along the North Carolina border. The forest is actually divided by the Smokey Mountains. The CNF has a total of 640,000 acres packed with hiking trails, beautiful views, and thousands of species of plants and animals. I just discovered the beauty of this area a couple of years ago and I have to say I enjoy the CNF more than the Smokey Mountains. During the summer, the CNF is crawling with whitewater rafting enthusiasts. In the winter, the CNF is crawling with bear and hog hunters. No, strike that last comment. The bear and hog hunters strap a GPS device on their dogs and send them into the woods to hunt. The "hunters" meet up at various locations in the forest and sit around sharing stories while holding out hope that their dogs will happen to find something…they call this hunting with technology. I call it cheating. It would be like me sending my dog on a hiking trail while I sit in the parking lot. Based on the same idea I could say I went hiking. A couple of weeks ago we were able to make our Fall day trip to the CNF. 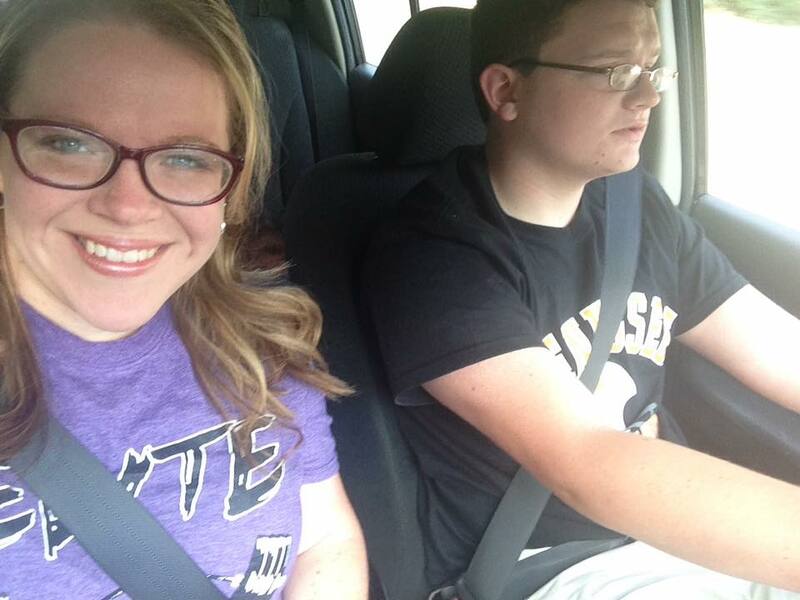 This year, Brenn was able to take a friend, which made the trip even more fun. Because my child is 10 and gets bored easily, I have to make the trip about more than hiking. Many years ago, we discovered a fun activity called Letterboxing (http://www.letterboxing.org/). Basically, it's like treasure hunting. The CNF is full of letterboxes, so that's what we plan every year. Our day began with a visit to the Tellico Plains Ranger Station where we picked up a free map and other materials. We then ate lunch at the picnic area. The first letterbox is located in that vicinity, so after lunch we started our letterbox hunting. The downside to letterboxing is that sometimes the boxes are no longer where they're supposed to be. Letterboxing isn't a widely known activity, so people who accidentally happen upon a box will often take it. We never found any of the 4 letterboxes we searched for that day. Not a very productive letterboxing day, but we still had an awesome time.